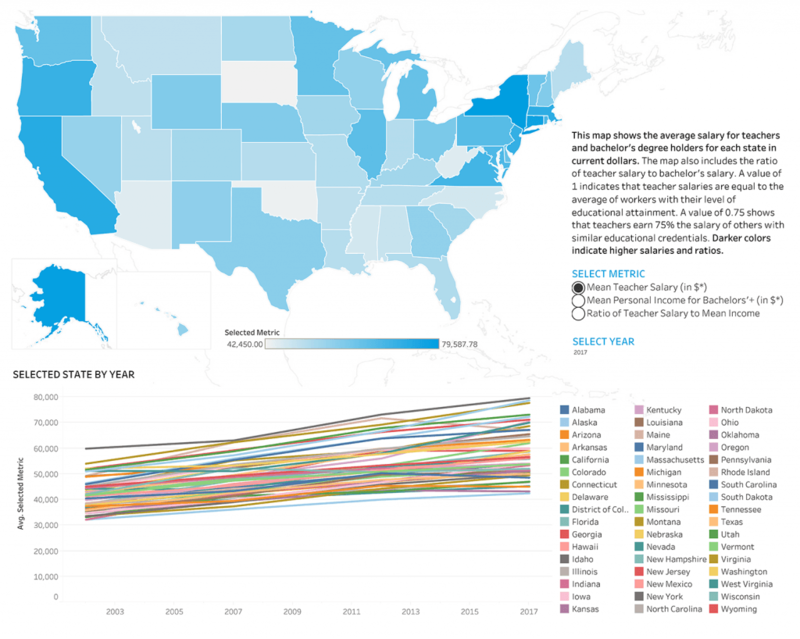 Our new interactive data tool displays average teacher salaries compared to the average salaries of bachelor’s degree holders in each state over a 15-year period to examine where teacher salaries are gaining and where they’re falling behind. With teacher salaries becoming a focal point of the 2020 presidential race, and with strikes happening in various parts of the nation over teacher pay, the tool presents a clear picture of the state of teacher salaries in the US and how they’ve changed since 2002. 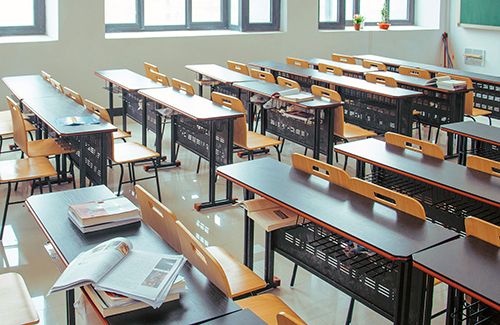 Running counter to the national trend, in which the number of graduates from teacher education programs in the US fell by 28 percent between 2009 and 2016, the number of graduates from the Virginia’s teacher preparation programs increased by 11 percent over the same seven years.